Lower Hudson Volleyball Association is entering its twelfth season with an outstanding program and opportunity for female athletes. We are excited to continue to expand the love of the game by offering a new team for male athletes this year. 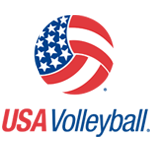 LHVA is a non-profit organization designed to provide athletes with a competitive volleyball experience. Our goal is that each player performs to their peak level of ability, as well as learn important life lessons. Through hard work, determination and teamwork, each player will gain self-confidence in the sport of volleyball on and off the court.